Turning it off doesn't reset it to simply "on" at full brightness, meaning the strobe can possibly come on the next time you turn it on. Check out the product and my amazon review. I'll probably have a more comprehensive writeup sometime. Along with my Flex-6700, I also have other pieces of gear in my station including a SteppIR SDA100 antenna controller and a SPE Expert 1.3K-FA legal limit amplifier. 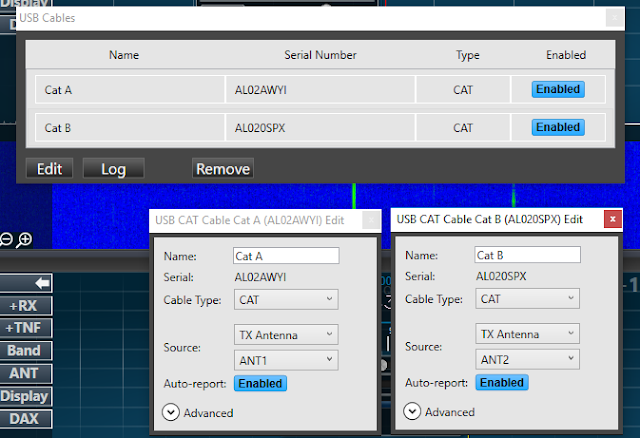 Flex recently made available SmartSDR 1.10.8 software. It promised some exciting features, but especially exciting was the support for USB serial ports for band data. While publicly available, it is a beta version, so proceed with caution. The actual procedure of installing it is straightforward. Just run the installer and accept all of the defaults. I chose to uninstall v1.9.13 before I installed 1.10.8 so I can have a clean install. When that is done and you first run a new version of SmartSDR it will ask you to update the radio's firmware, which you have to do in order to run SmartSDR with the radio. Hey all! It's Ria here, and I'm going to be blogging about my ham stuff here. Stay tuned!